Senior PA official accuses Israel of violating the rights of Muslim worshipers in the Cave of the Patriarchs. Yousef Adeis, the Palestinian Authority (PA) official in charge of religious endowments and religious affairs, is accusing Israel of violating the rights of Muslim worshipers in the Cave of the Patriarchs in Hevron. In a statement published on Tuesday, Adeis claimed there were 298 incidents during the first six months of the year in which the call to prayer was prevented in al-Haram al-Ibrahimi, the Arabic name for the Cave of the Patriarchs. He further claimed that Israel had increased its forces at the entrance to the “mosque” and during the same time period had closed the area for two days because of the holidays. The Muslims see the Cave of the Patriarchs as an Islamic site and a mosque and deny the Jews’ right to pray there. Adeis also said that "extremist settlers" carved the Ten Commandments on one of the doors in the Cave of the Patriarchs on Monday, an act he described as "blatant and provocative defiance against the Muslims." He complained that at another time the "settlers" held a festive event at the compound that included playing music until late at night. 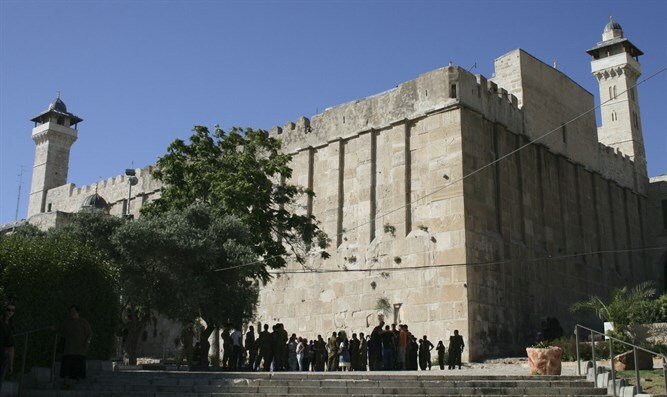 Adeis further said that Israel was interfering in the renovation, maintenance, water supply and landscaping at the Cave of the Patriarchs, and in a number of cases prevented the workers of the Hevron Renovation Committee from working in the outer area of ​​the site and pressured the workers to erect a shed designed in the form of a synagogue. He stressed the importance of joining forces in order to protect the area and the Old City of Hevron, as well as to defend the residents' steadfastness against "the occupation and its racist actions." PA officials have often accused Israel of trying to desecrate the Cave of the Patriarchs, in one incident taking issue with Israel placing a flag and a lamp in the area.